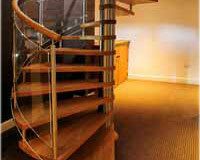 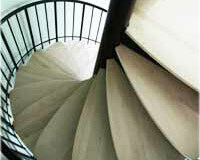 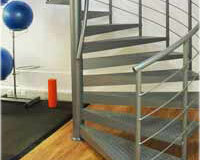 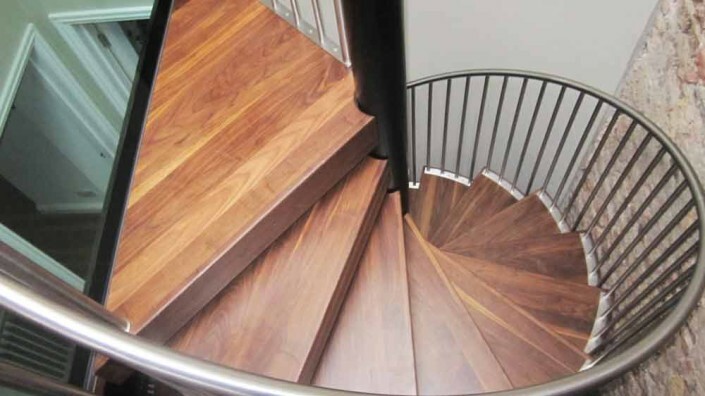 This Spiral Staircase Chiswick project was a spiral accessing a basement as part of a large refurbishment. 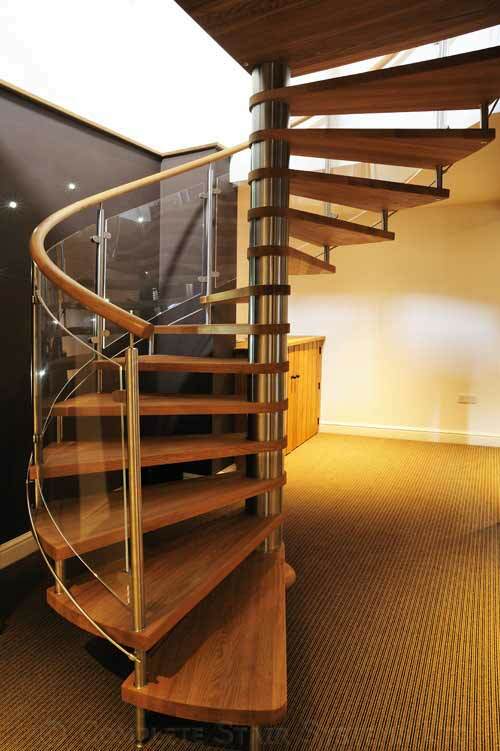 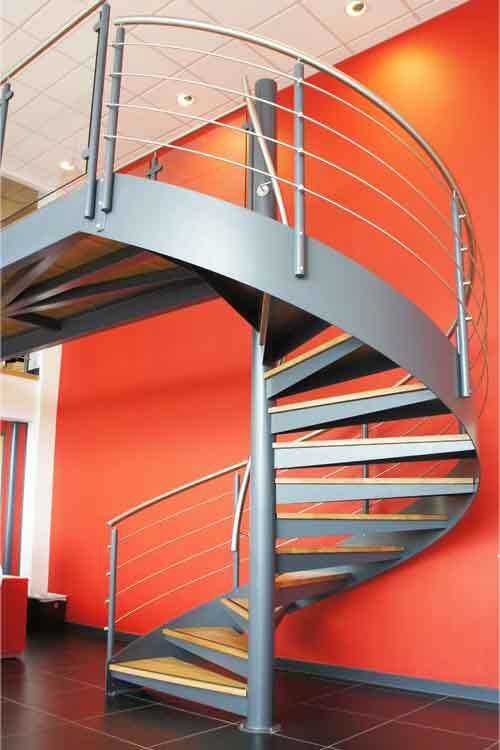 Space was extremely tight yet the client wanted a ‘large-as-possible’ spiral. 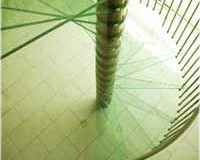 The diameter of the spiral is normally dictated by the opening in the floor (which should be at least 100mm larger than the diameter of the spiral) but with a larger spiral diameter, like this 2m model, we were able to manipulate the position of the centre column by supplying a smaller platform. 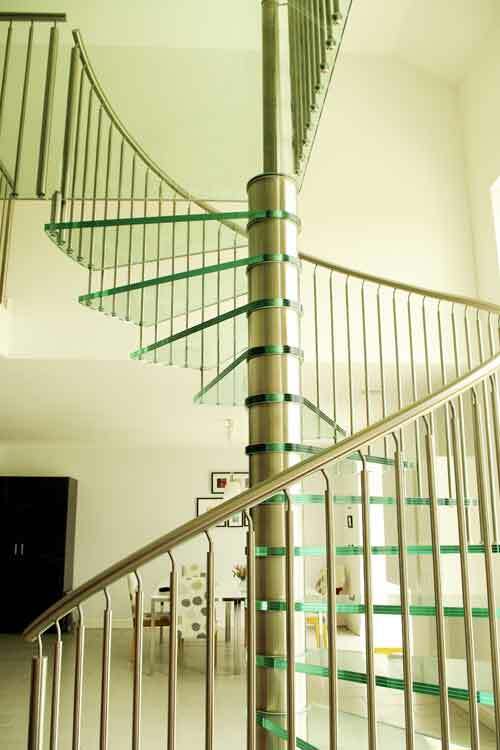 By pulling the centre column off centre and closer to the edge of the floor this gives us more space into which to fit a larger diameter. 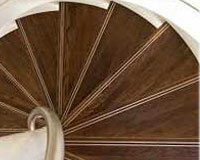 This only works if the floor to floor is small or the floor to ceiling is high. 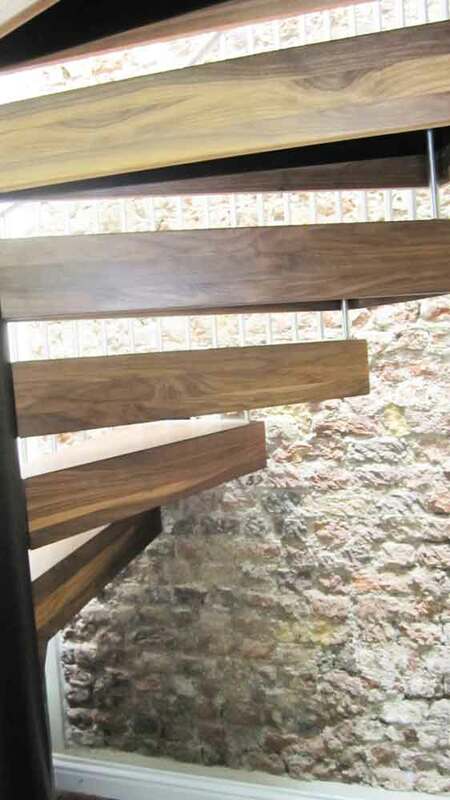 Our client for this project selected the chunky boxed in walnut treads, brushed stainless steel spindles and handrail with a powder coated structure. 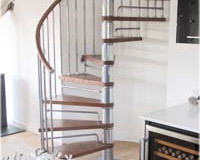 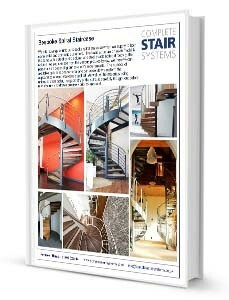 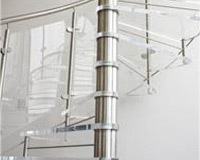 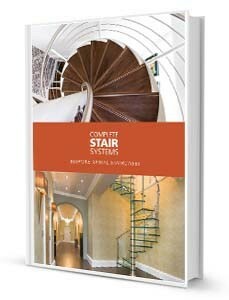 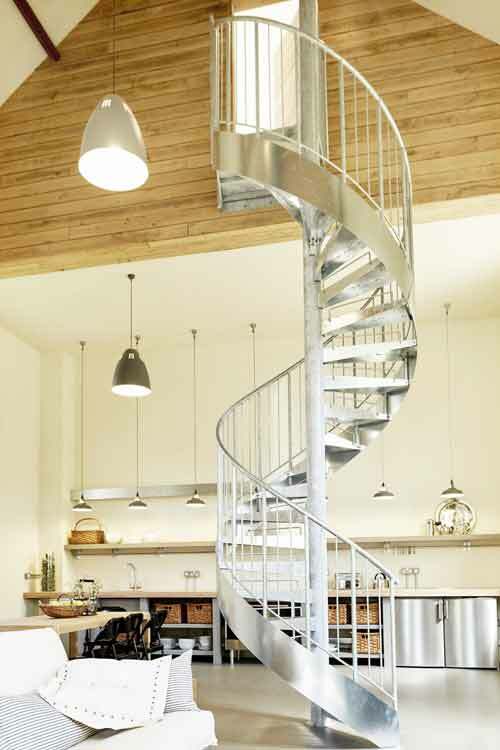 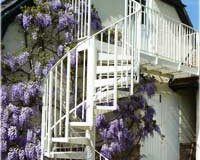 If you would like a price for this Spiral Staircase Chiswick project, please fill out the form below.